A person who is disabled to carry out any economic activity and is suffering from serious physical impairments (including blindness) is entitled to a disability pension. c) full disability in terms of need for nursing. c) The right to full disability pension begins after expiration of 6 month period of sick leave (temporary incapacity).MCDWA should examine and assess the case in the fifth or sixth month before this period is completed. For a full disability pension applicant or the authorized by procurement goes to the LSIA of residence, according to civil status registration, to make application for disability pension. – Notarized copy of university diploma for female applicants (if they graduated from full-time studies). – Proof from the employer for the profession and work type. – These documents for invalidity pension purpose shall be admitted when the person has not reached the old age pension age. – Any other justifying documentation that proofs wage or payment of contributions. – Proof of payment of work incapacity benefit caused by a general disease (for employee). c) Against this decision, the patient or invalid may appeal to the superior- MCDWA. Complaints should be made in written form and are submitted to the relevant Regional Social Insurance Directorate (RSID). a) Monthly full disability pension amount consists of the basic pension and an increment calculated like old-age pensions. Basic pension amount is given to all insured persons. b) Increment granted to employed persons is 1% for every insurance year multiplied to average assessment base the insured person has reached through his/her entire contributions history. c) The total amount of this pension would be not more than twice the basic pension, or 80% of average net wage in the last year, whichever is smaller. d) The basic pension is determined by DCM. When applicant for a full disability pension becomes disabled and needs constant care of another person, as defined by MCDWA, he/she is granted an additional sum of 15% of assessment basis. 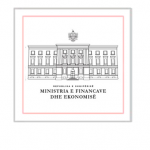 A disabled insured person who is receiving a full disability pension, under Article 35 of Law No 7703, dated 11.05.1993 “On social insurance in the Republic of Albania”, amended, and has dependent children up to 18 years of age or until age 25 when continuing full time bachelor studies. A person who is unable to carry out any economic activity and has serious physical impairments (including blindness) is entitled to a reduced disability pension. c) The right to a reduced disability pension commences after the 6-month sick-leave (temporary incapacity) period. Evaluation by MCDWA should be done in the fifth or sixth month before this period expires. For reduced disability pension, the beneficiary or the authorized by proxy goes to the Local Social Insurance Agency of the place of residence, according to the registration in the civil status office, to apply for a reduced invalidity pension. – These documents, for invalidity pension purpose, will be required when the person has not reached retirement age. – Any other justifying document confirming wage and payment of contributions. c) Against this decision, the patient or invalid may appeal to the superior- MCDWA. Complaints should be made in written form and are submitted to the relevant RSID. a) Monthly reduced disability pension amount consists of basic pension and increment which is calculated like the old-age pension. Basic pension amount is given to all insured persons. Monthly reduced disability pension amount is equal to the reduced disability pension amount calculated pursuant to paragraph “a” multiplying the ratio of insurance years being the insurance periods required for a reduced invalidity pension. 6. Additional incomes for care service under article 38 of Law no 7703, dated 11.05.1993 “On social insurance in the Republic of Albania”, amended. When the beneficiary of a reduced disability pension is incapacitated and needs constant care of another person, as defined by MCDWA, he/she is given a supplement of 15% of assessment base. An insured disabled person who receives a reduced disability pension in accordance with article 35 of Law no 7703, dated 11.05.1993 “On social insurance in the Republic of Albania”, amended, and has dependent children up to age 18 or until age 25 when they are studying at university full time shall receive an additional family income for each child at 5% of basic pension, but not more than 30% of it. A person who is incapacitated for any economic activity and has serious physical impairments (including blindness) has the right to receive partial disability pension. d) Joint Regulation of the Ministry of Health and Social Insurance Institute, dated 30.05.2003 “On organization, rights, duties and functioning of the MCDWA. d) The right to have a partial invalidity pension begins after the 6-month sickness-leave (temporary incapacity) period. Assessment of KMCAP should be made during the fifth or sixth month before the end of this period. To obtain partial disability pension, the beneficiary or the authorized by proxy must go to the LSIA of the residence according to civil status registration, to apply for a partial disability pension. – Notarized copy of university diploma for female applicants (if they graduated, full-time). c) The patient or invalid may appeal against this decision to the superior- MCDWA. Complaints must be in writing and submitted to the relevant RSID. Monthly partial disability pension amount is equal to the partial disability pension amount calculated pursuant to paragraph “a” multiplying the ratio of insurance years being the insurance periods required for the partial invalidity pension.